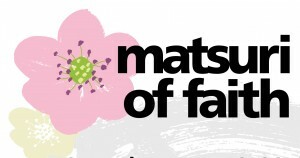 TORRANCE — Faith United Methodist Church’s annual spring festival, Matsuri of Faith, will be held Saturday, May 18, from 10 a.m. to 6 p.m. This all-church event on the Torrance campus features a day filled with fellowship, food and entertainment. Signature hand-crafted ethnic foods including chicken teri, tri-tip, chirashi and inari sushi, udon, ramen salad, curry, yakisoba, malasada, lumpia, lau-lau, tamales, chili rice, snow cones, home-made baked goods and more. There will also be fresh produce, plants and handicrafts available for purchase, plus a silent auction. The festival will offer children’s games, door prizes, and entertainment throughout the day, including hula, odori, taiko drums, gospel and R&B. At 4 p.m., support tsunami relief in Japan by joining a community singing of “Shiawase Hakoberu Yo-o-ni” (Carry on Happiness). The church is located at 2115 W. 182nd St. in Torrance. Parking is off-site at Hamilton Adult School, 2606 W. 182nd St. There will be a free shuttle service. For more information, call the church office at (310) 217-7000 or visit www.faithunitedmethodist.com/.